Last one tonight. Not a fantastic likeness, but lots of fun nonetheless. 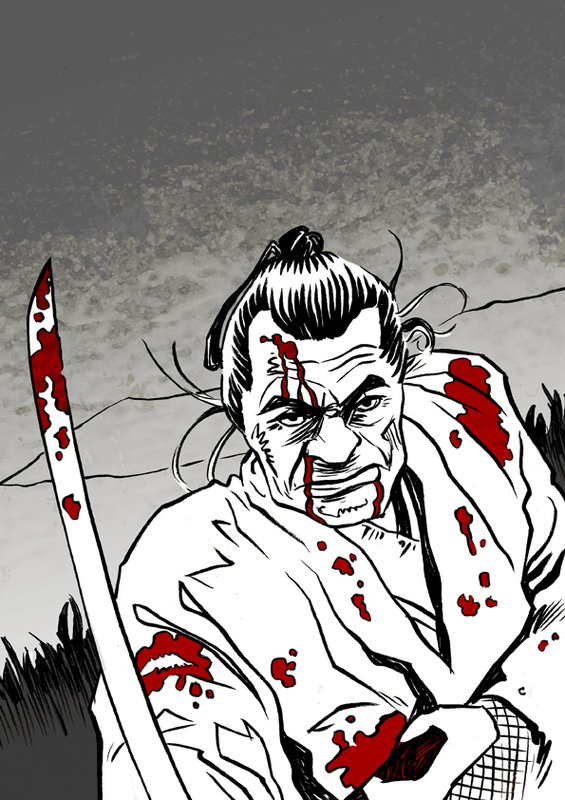 As far as I can recall, I've never drawn a Samurai before, so this at least remedies that. 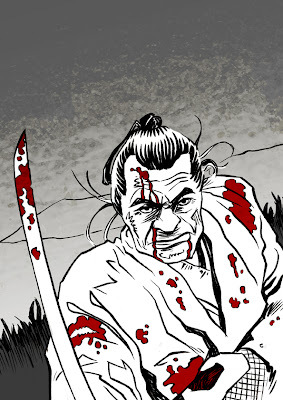 Freelance comic artist, illustrator & colourist based in the North-West of England. Usually available for commissions - email mygrimmbrother@gmail.com for details/prices. I coloured Dave Hitchcock's 'Paradise Mechanism' for Aces Weekly, and have contributed strips, illustrations and/or cover art to various small press publications such as 'Disconnected', 'Dogbreath', 'Zarjaz', 'Something Wicked', 'Paragon', 'Vanguard', 'Murky Depths', ' The Psychedelic Journal of Time Travel', 'Back From The Depths', and 'The End is Nigh'. I also contributed to the webcomic 'Fractal Friction'. Current ongoing projects: Colouring 'Banned Across The Universe' for ROK Comics (written by John Freeman, art by Kevin Levell). Colouring an original graphic novel for Accent UK, entitled 'My Maker & I', with art from Dan Duncan (IDW - TMNT), and written by Owen Johnson. Drawing & colouring 'Gentlemen Ghouls' written by Martin Hayes. Another recent (hugely enjoyable, and entirely digital) commission, the legendary Patti Smith. You really wanna save those crazy swedes, huh Doc? A tribute to the Galaxy's Greatest Comic!